For many, summer vacations are a blessing in disguise. They include visiting people, free play, a blissful lack of routine and generally relaxing & chilling out. Mothers get a break from rigid daily chores, rushed mornings to get kids ready for school, etc. However, parents of SEN(Special Education Needs) students, have a challenging time?ahead. 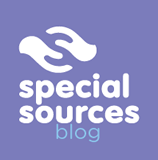 Students with special needs are often referred for activities like swimming by their teachers or therapists to help overcome sensory difficulties and also to help keep them engaged for periods of time during the holidays. Individuals with SEN may have excess energy and swimming can be a very good outlet for pent up energy. Being in water and splashing around in itself will help the individual to a large extent. It sounds easy, but it isn’t. SEN abilities differ from child to child. Some children will be fearless and will take to the pool immediately, however some may not be able to judge the depth of the pool and be aware of dangers they are facing. On the other hand, getting some children to get into the pool will be a whole new ballgame. All these uncertainties pose as issues and potential threats, when it comes individuals with SEN?and swimming. As an educator with more than a decade of work experience with students and families of students with SEN, here are some pointers which may be effective or will at least address certain areas of swimming camps which are not spoken about or shared with people. These pointers may be able to aid in overcoming reservations or doubts people have when it comes to dealing with SEN individuals. As a trainer/facilitator do not focus on end result of teaching the individual with SEN to swim like a pro. Allow one on one sessions with a trainer to start with. All attention to be given to the individual with SEN .
Feel free to allow a member of the family to be with the individual with SEN in the water for safety and emotional security. Provide toys, containers, sprinklers etc to initiate water play in the pool. Once they are free of fear and are confident, they can eventually be introduced to a deep pool. Some of them may exhibit unbelievable abilities, do not be alarmed. Observe and record what you see and report to the parent. Constant reporting to the family is essential. Its best to have a family member around during swimming sessions. If a club or pool is not comfortable allowing a student into their pool is because of the individual’s safety. So as a parent/facilitator, it is best to start with an inflatable pool at home to introduce the individual with SEN to the concept of playing in water. *Ms Susan Raphael is a Special Educator with an academic background in Counselling Psychology and Special & Inclusive education, and over a decade of experience as a special educator. *All views expressed here are Ms. Susan’s personal views as a special educator, and the recommendations mentioned above can vary from person to person. Well written. Valuable information. Keep writing ? Very well written Susan and good insight too. Well written Susan and a good insight for Beginers in swimming and guidance for parents as well as trainers. Being a psychologist was able to understand in depth of the article very well written .n a good article …helps many parents as well as special educators. Very helpful Susan. It is so important to focus on the individual needs of SEN Children not just in the field of academics but in other areas too !Thank you for putting the focus on that ! Very helpful Susan. It is so important to focus on the individual needs of SEN Children not just in the field of academics but in other areas too! Thank you for putting the focus on that !